Erice is located in Sicily (South of Italy), in the province of Trapani. Here is a map of Erice. Participants should arrange to arrive in Palermo or Trapani on Friday, April 24, not later than 7 pm, and depart on Friday, May 1: the sessions will start early on Saturday morning, April 25 and end late on Thursday, April 30 (too late to get to Palermo or Trapani on the same day). Transfers from Palermo and Trapani Airports and harbors to EMFCSC and back will be provided on April 24 and on May 1, respectively. Erice may be reached by public transportation only by bus from Trapani Railway Station. AST buses to Erice leave every one or two hours. Please check the bus timetable. 1. BY AIR: Palermo "Falcone e Borsellino" airport (60 minutes from Erice by car) and Trapani "Vincenzo Florio" airport (35 minutes from Erice by car). Trinacria Express train connects Palermo Railway Station and Palermo "Falcone e Borsellino" airport. 2. BY TRAIN: from Rome to Palermo. It takes twelve to sixteen hours, depending on the type of train; then train or Segesta (Tel: 091 304106) bus to Trapani, and then AST bus (see above) to Erice. 3. 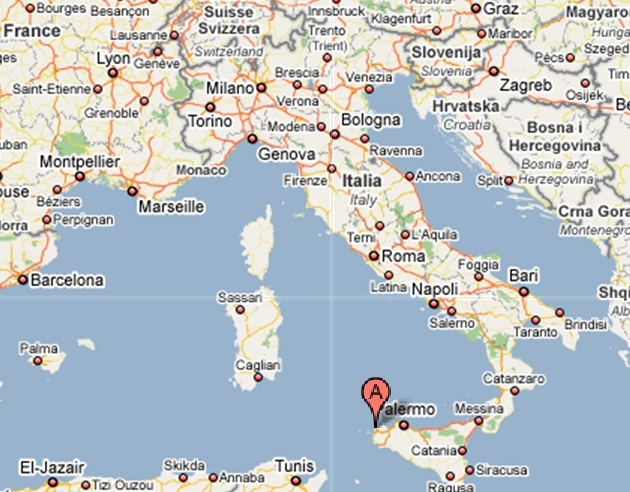 BY CAR: From Palermo, take the A29 highway taking the exit A29DIR to Trapani. Take the exit for Castellammare del Golfo and continue along the state road 187 towards Valderice. At Valderice, cross the country for about 5 km and turn right onto Via Erice towards Erice. 4. BY SHIP: The harbor of Palermo can be reached from Genoa, Livorno, Civitavecchia and Naples. Palermo harbor is connected to Trapani by Segesta Lines (see above).